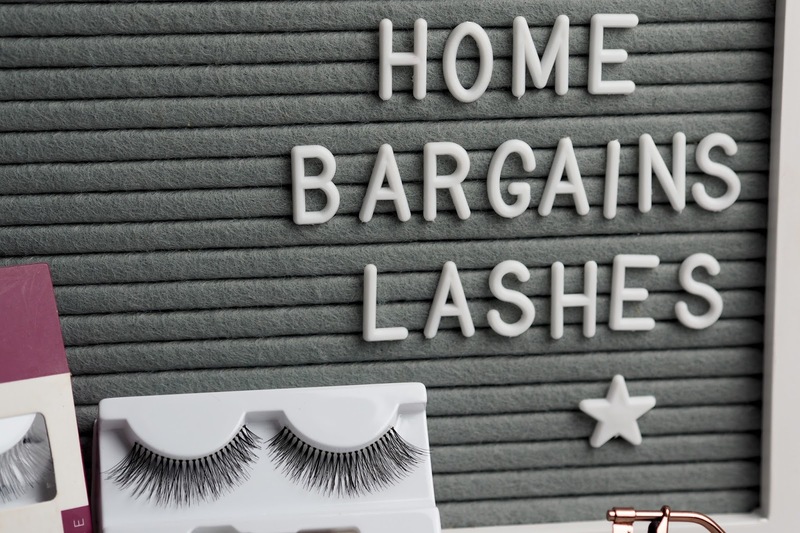 I’m back with my fourth set of lashes in my Lashes Review Series and this week, I’m using one of the cheaper and affordable lashes in my collection - these lashes are from Home Bargains and cost just £1.29! 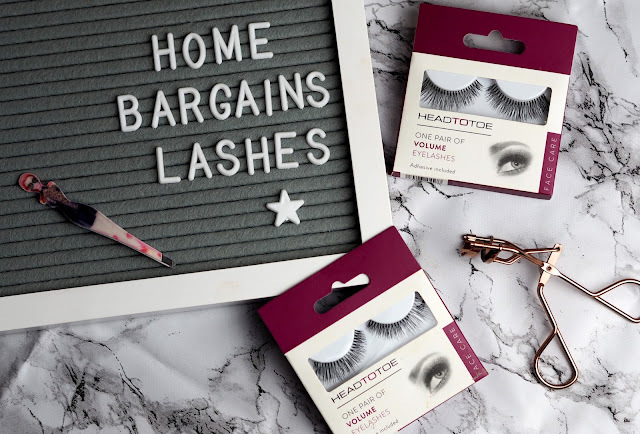 Although these lashes are from Home Bargains, the brand seems to be ‘HeadToToe’ but I can’t find much about them on the internet. They are branded as ‘Volume’ Eyelashes and they include one pair of disposable lashes and glue to apply them with. As mentioned above, they’re one of the cheapest lashes I have in my stash at just £1.29 so I find them great for everyday use as they don’t break the bank! In Home Bargains, they didn’t seem to have any other varieties of this brand so it must be the only ones they do. Carry on reading to find out the all important facts on the lashes and to see some close up pictures of them too! So in the pack, you get one pair of ‘Volume’ lashes and some glue - you don’t actually get glue with many of the higher end lashes anymore so it’s always nice to have a backup as some people don’t buy their eyelash glue separate and expect it to be with the lashes. The lashes are lovely a wispy and look quite natural considering they are aimed to be ‘Volume’ lashes, I’d say there is more length to them than volume but they’re lovely, natural looking lashes which I like to wear on a day to day basis. They feel quite plasticy and don’t have much curl to them but the advantage of this is that you can curl them yourself with eyelash curlers and they will hold their curl! They’re also quite long too so you may need to trim a little off the ends to help them fit your eyes perfectly. Applying the lashes was so easy, I used my usual glue and waited a minute or so and popped them on. I apply my lashes by pressing the middle down first (with tweezers), then hold down the outer corner and then the inner corner. If your glue is tacky enough, it’ll stick first time, if not, you may need to just hold the lashes in place for a few seconds to help them stick and try to get them as near your natural lash line as possible. Due to their price, I wouldn’t have thought you’d get many uses from these lashes, however... I’ve currently worn mine for 5 days, taking them off each day and cleaning them, and they’re still wearable now, if anything, they look a little better too as they have a bit of mascara on and the band is durable and more flexible making them easier to apply! The only downside to these lashes is that the band is visible - it’s a clear band however, you can see it once you’ve applied them. It’s easily fixable though as I simply go over it with eyeliner but with other brands I’ve tried, I don’t always need to do this. For the price, these lashes are absolutely fab! If you just want to grab few pairs to keep in your stash for days when you want a little more volume, these are great and they’re so affordable! As long as you look after them and remove them gently, you’ll get a few days wear out of them too so you’re probably averaging out at about 50p per wear for them too! The glue included is ok, it’s not great as I prefer to use my Kiss Products Lash Adhesive but if it’s your only option then it does the job. Just make sure you give it enough time to get tacky before applying to your eyes as it helps it stick and it’s easier to apply. Looking at these lashes, you wouldn’t think that they’re from Home Bargains! They look great once they’re on and they last a good few days so they’re definitely amazing value for money. They’re the perfect lash for me when I just want a natural(ish) pair to wear and they go on super fast too! 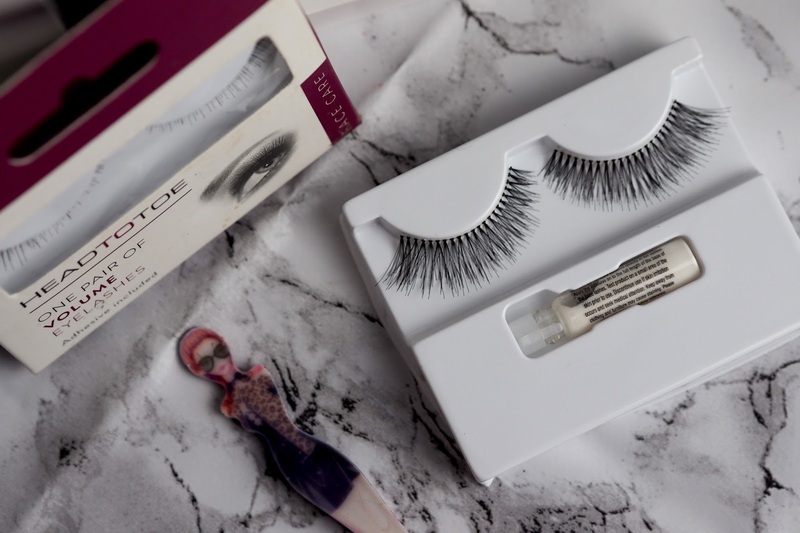 Definitely worth trying if you’re looking for a daily pair of lashes!